Do you have any fun traditions for Cinco de Mayo? My family and I usually just do a fun Mexican-inspired dinner to celebrate. 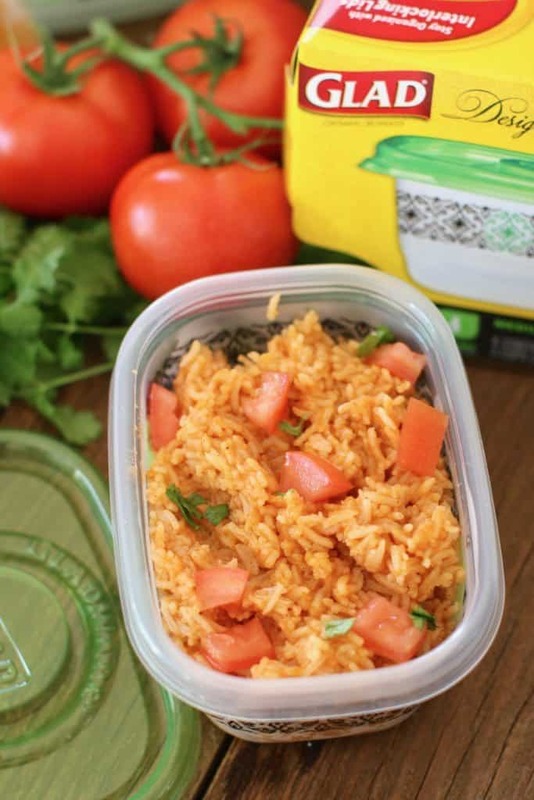 One of our favorites is Creamy Chicken Enchiladas with this Mexican restaurant-style rice. 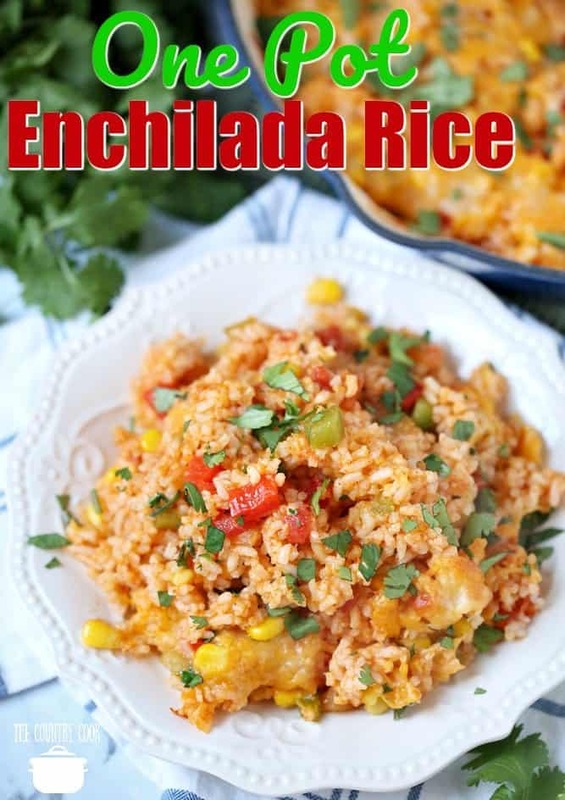 This stuff is crazy-easy to throw together and the taste is amazing thanks to the enchilada sauce. 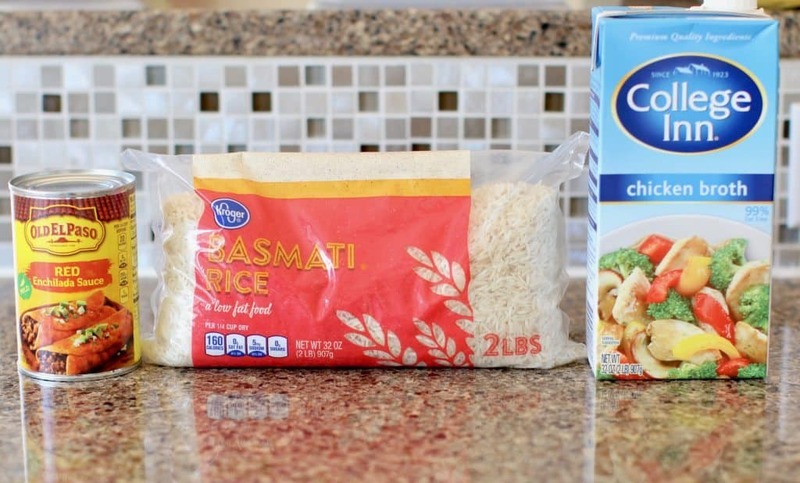 This is the perfect recipe to make ahead of time, then save for later. It reheats beautifully! 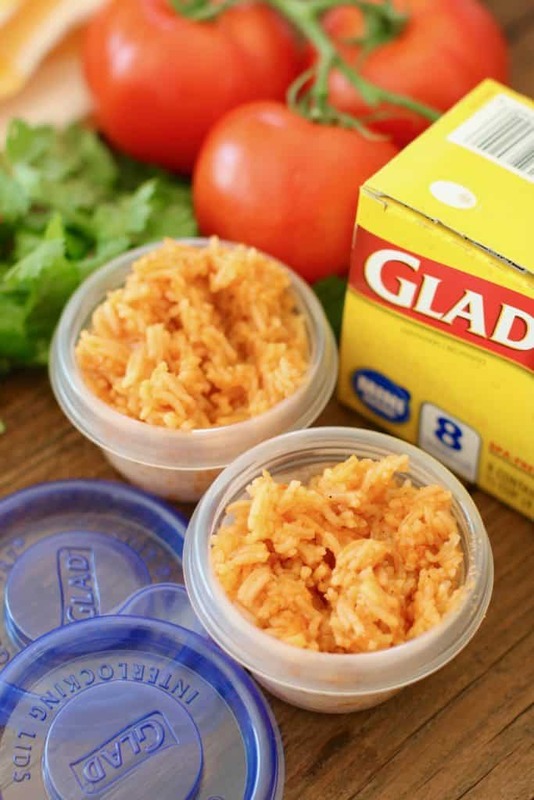 For work and school lunches, I just put some individual servings into these GladWare® mini bowl containers. They are microwaveable, dishwasher and freezer safe. I even chopped up extra tomatoes and cilantro and stored them in a couple of GladWare® containers. They also keep fresh food fresh. Boom! 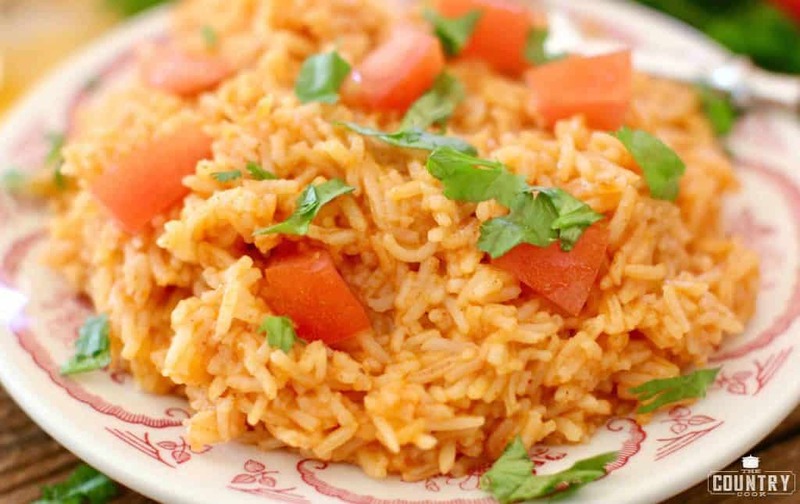 You could also take this rice and make it part of a burrito bowl. Just throw in some chicken and corn and lunch is served – yum! Or wrap it up in a tortilla shell with sliced avocado and black beans. So good and filling. One of my favorite meals! 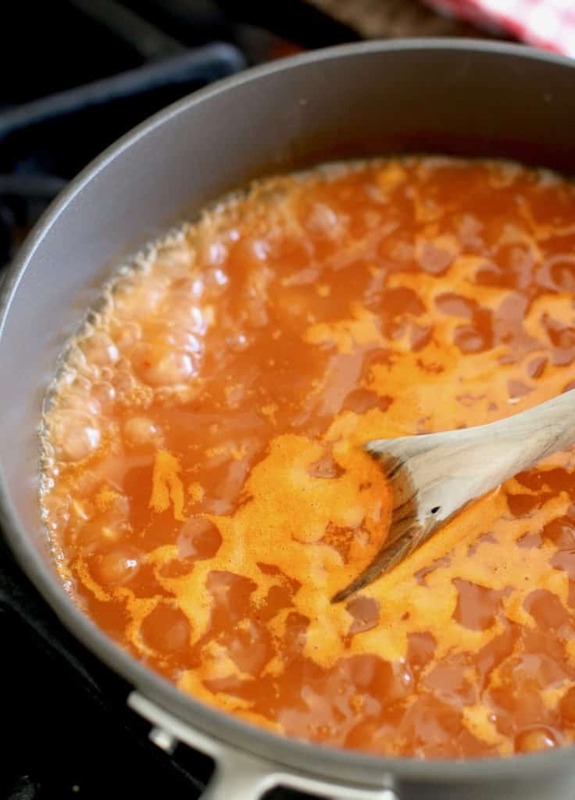 In a large skillet (or saucepan) stir together the rice, chicken broth and enchilada sauce. 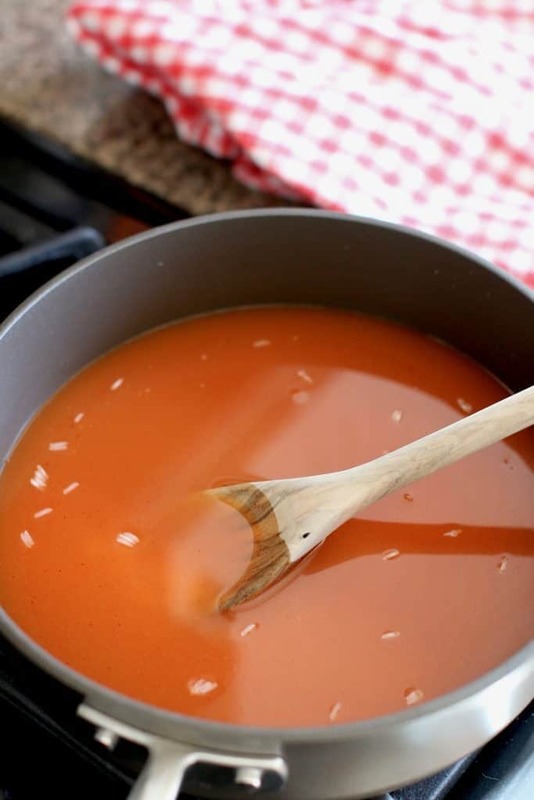 Turn heat to medium-high and bring to a gentle boil. Stir well. Cover pot and turn down heat to low. Cook for about 10-15 minutes until rice is tender. Stir mixture and season with salt and pepper, to taste. We ate most of this rice for dinner. But I had a little bit leftover so I spooned it into a GladWare® medium rectangle container. I don’t want any little bit to go to waste. These containers keep it fresh and I love that I can re-heat my leftovers right in them! 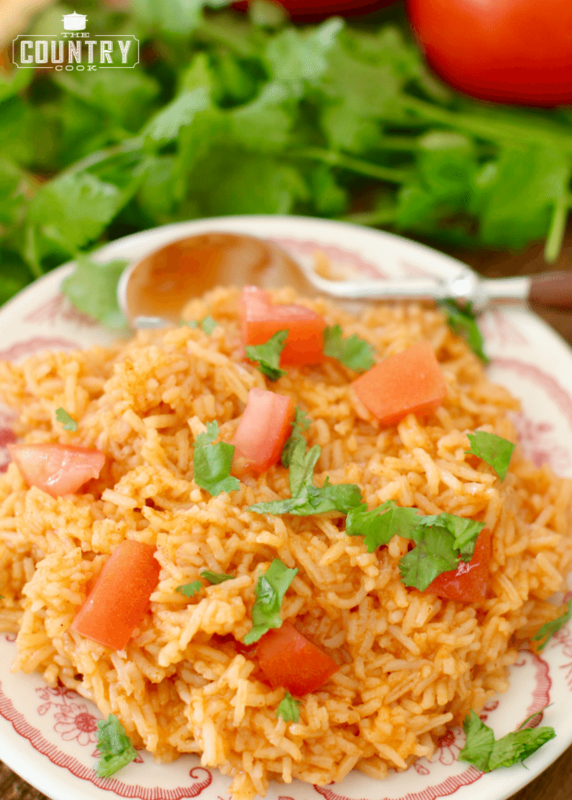 This 3-Ingredient Mexican Rice tastes just like the one at the restaurant! only 15 minutes and it only uses only one pan to make! This sounds so good, but I have issues with rice. Do you think riced cauliflower could be exchanged for the rice and chicken stock? Here’s a helpful hint. 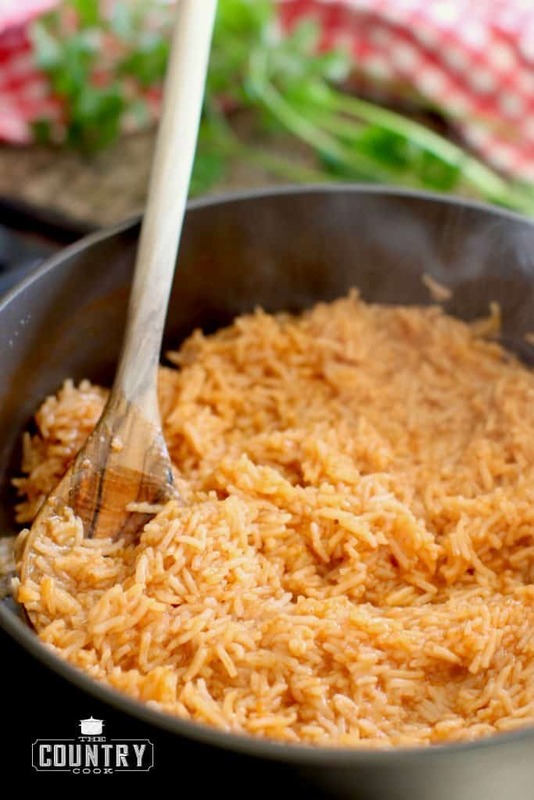 Before adding any liquid, brown your rice in a little bit of oil. 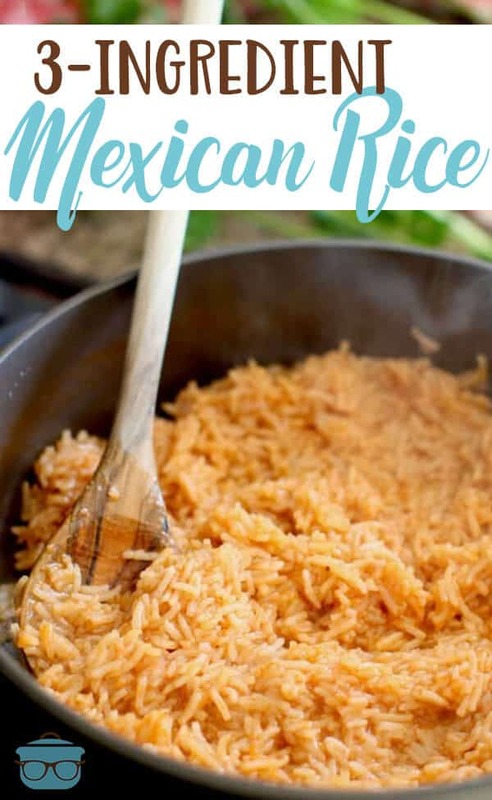 This brings out the authentic Spanish/Mexican rice flavor. I admit that I was skeptical about the enchilada sauce but this was awesome! 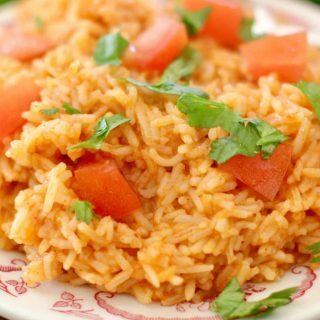 I used regular white rice and followed the recipe and I loved it. I have tried so many I didn’t like but now the search is over. This the recipe I will use from now on. Just made this but i added sauteed onions and 1/2 jalapeno. Very yummy! Will definitely make again. Has anyone made this recipe in a crockpot? If so, how did it turn out? Any tips? Just made with red sofrito as I didn’t have enchilada sauce, hope it turns out well! I used vegetable broth instead of chicken for a vegetarian/vegan take. I think that 2 cups of broth and a 10 oz can of sauce is too much liquid for only 1 cup of rice, and will make it come out gummy ,we.t and mushy. Rice is tricky, and I usually cut back on the liquid from what directions say. Instead of enchilada sauce, I use a can of diced tomatoes and chillis, and add diced onion. Hey brandie! Can i ask if its possible to double up on this recipe? i need a larger amount of rice for a group of people. was thinking of just doubling everything…will that work? This version was delicious. 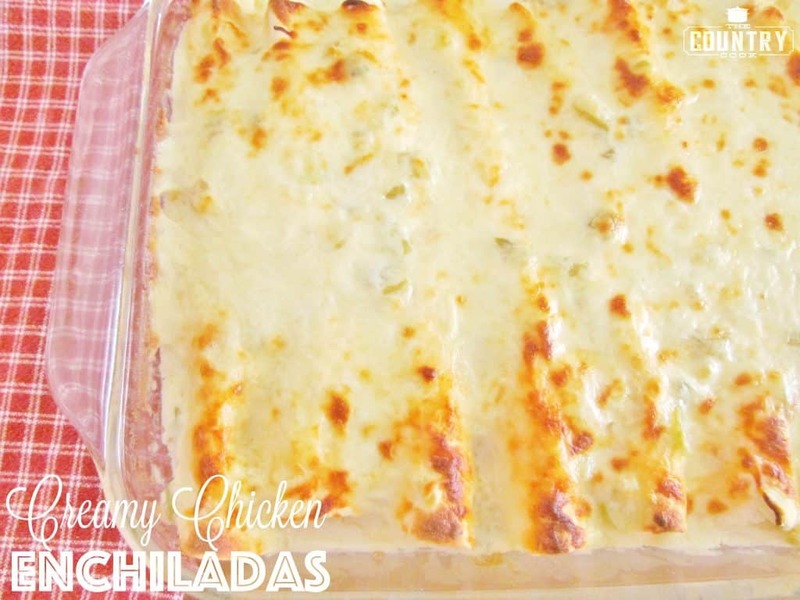 Definitely NOT too much liquid and the enchilada sauce adds wonderful flavor. I think you could definitely add ground beef and onions and peppers and make it a whole meal. Thank you!